It is no secret that I am a bit of a hoarder. It's a trait I am certain I share with crafters and creatives around the world. I see the potential in everything to become something better than it is or to be used in a project. Pretty paper napkins do not escape my attention. Not only do they make a nice addition to a table setting when entertaining but they can be used in my craft projects too. 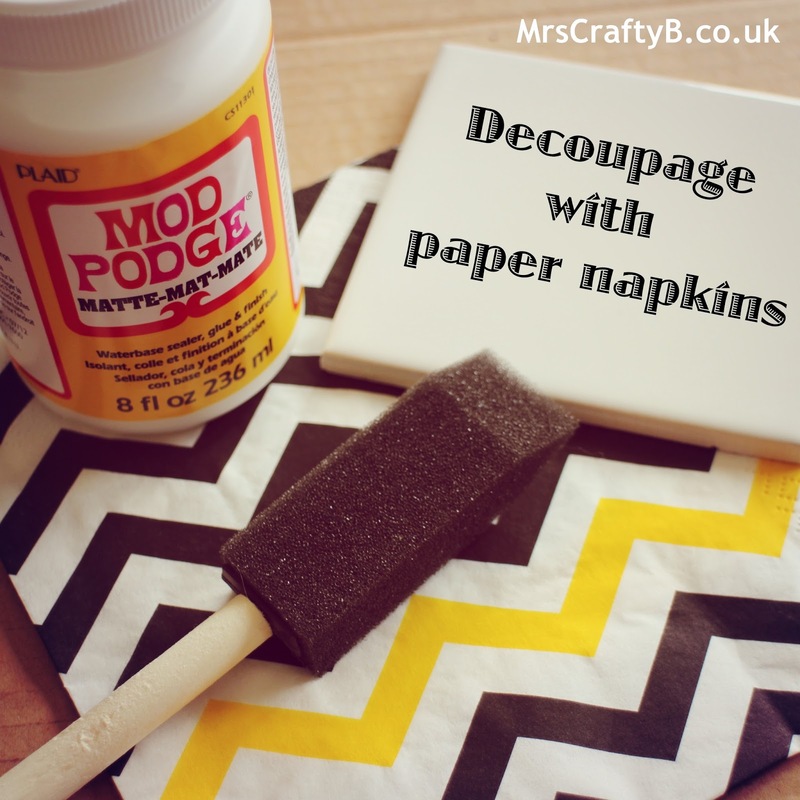 In the past I have made paper pom poms with napkins but in this post, I am going to show you how to use them in your decoupage projects. 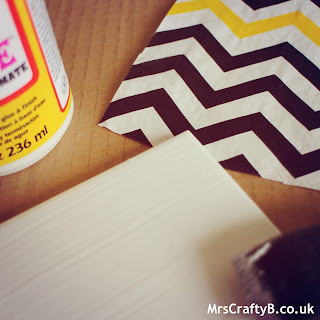 Firstly you must remember one very important thing about using paper napkins for decoupage. They are very delicate. As soon as your apply glue, they will be ready to tear so you cannot overwork it. If you can get over this fiddly point, the results are worth it. Recently (having set up a home based business) I have felt a need to create a more efficient and pretty workspace. I have decided that yellow would be an energising and uplifting colour and whilst keeping one eye open for the perfect desk lamp, the other one spotted these lovely napkins in a sale for 17p. Yup, you read that right. Of course every desk needs a pot to throw pens (and crochet hooks) into and indeed a coaster is always required for the numerous cups of tea. I raided my craft stash for a tile (I keep a stash of these because I am totally obsessed with using them for coaster projects) and one of the many jars that I have kept 'just in case'. Cut a piece of napkin that is slightly larger than your tile. Leave enough to fold over the edges and glue down on the back. Using your craft sponge cover the tile in a layer of glue. Place the tissue paper centrally on the top and press down gently. DO NOT USE GLUE ON THE TOP YET. Leave it to dry. When your tile is dry, flip it over and use the sponge to press glue onto the sides of the tile and along the edge on the back. Carefully fold over two opposite side and press the excess down with the gluey sponge. Fold in the two other edges tucking in any extra at the corners. Press these down again with a gluey sponge. Once the back of the tile is dry, flip it back over and carefully press glue over the front side. Leave to dry and then paint a good layer of glue over the tile. Repeat if you think you need to. 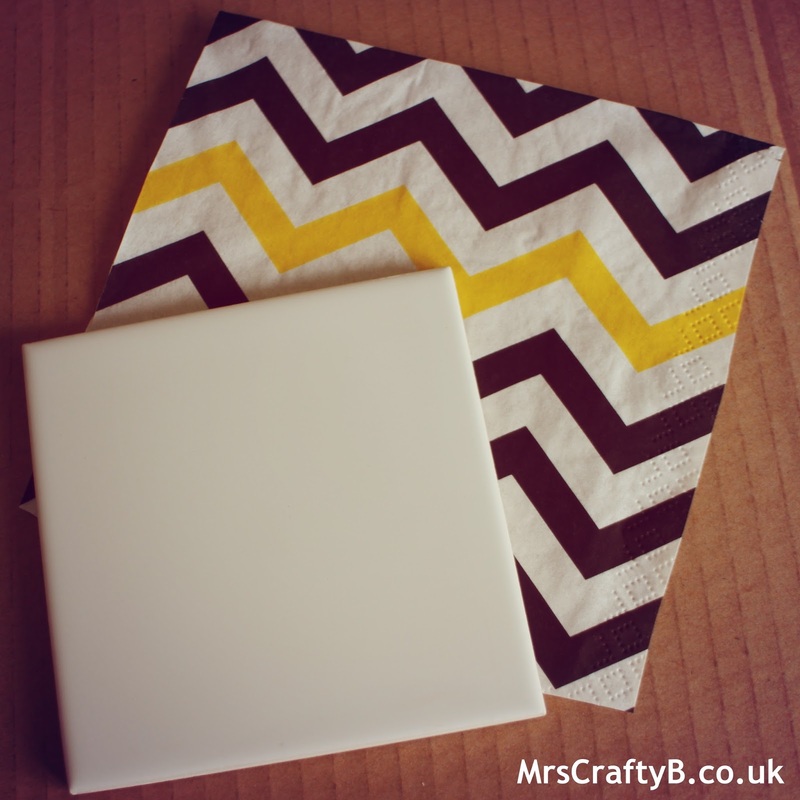 Paint a layer of clear acrylic sealer over the tile if you are using PVA. Stick the piece of felt to the bottom of your tile and you have a cool coaster. Next up is a snazzy pen pot. The first time I did this, the napkin dried and it had a slightly transparent look to it. I started again but this time I painted the jar with white acrylic paint first. You could try both ways and see which you prefer. Cut a piece of napkin that will wrap around your jar with a slight overlap and that will go over the top edge of the jar. Paint your jar if you are including this step and let it dry. Once your paint is dry, turn your jar upside down and paint a layer of glue all around it to the bottom edge. Don't put glue on the top edge yet. I have shown you this with an unpainted jar for clarity. 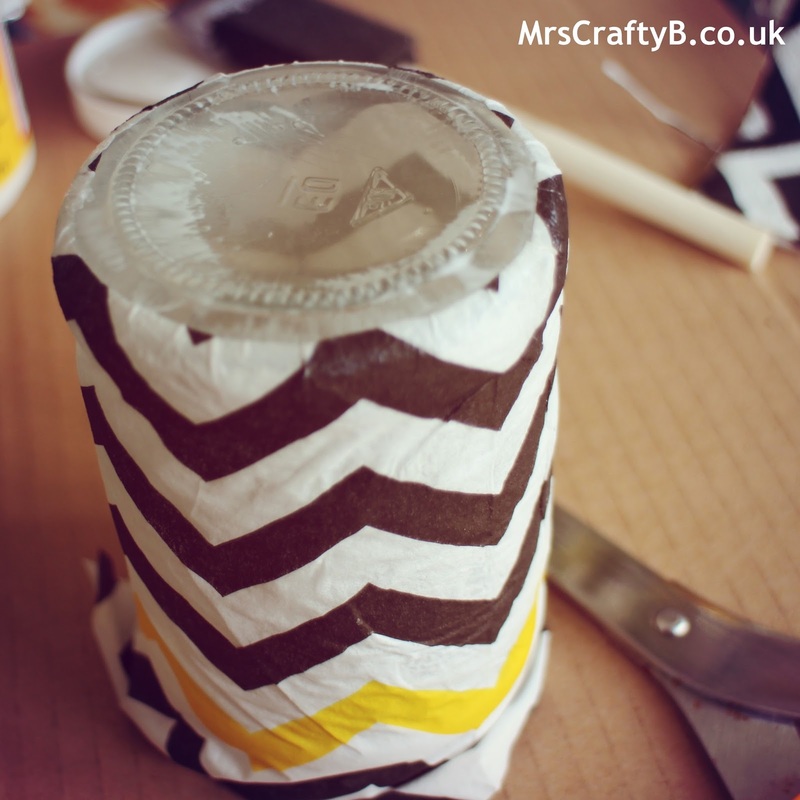 Wrap your napkin carefully around the jar keeping it lined up with the bottom edge of the jar. Press it down carefully (with your fingers) and leave to dry. 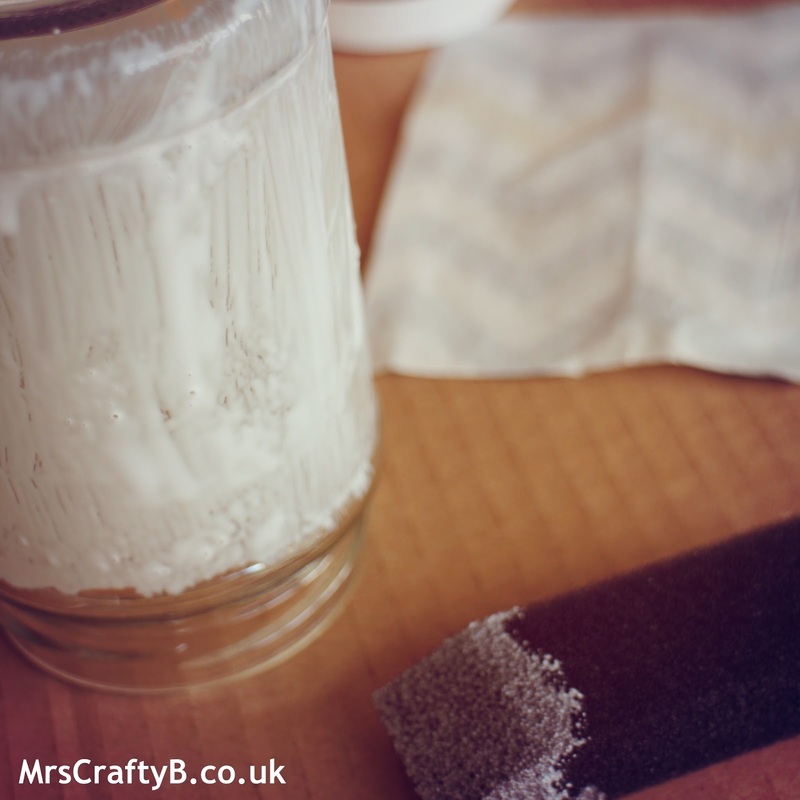 Once it is dry, turn over the jar and using the sponge, carefully press some glue under the open edge of the napkin around the remainder of the jar and just inside the opening. Press the napkin down (again, with your fingers) and push gently into any nooks and crannies (love that saying). Fold it over the top into the open edge. Wait for the jar to dry and press the napkin down with a gluey sponge. When the first layer is dry, add another layer of glue. Here is my custom made desk tidy and coaster! What do you think? 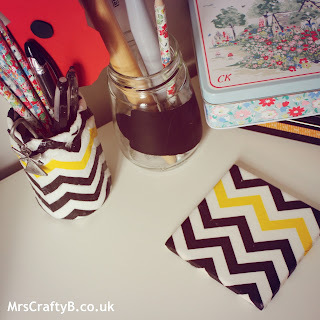 Can you spy another jar craft ;-) Do you think you will give this a go? 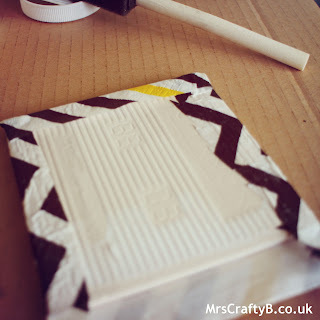 What other materials have you used in decoupage projects? 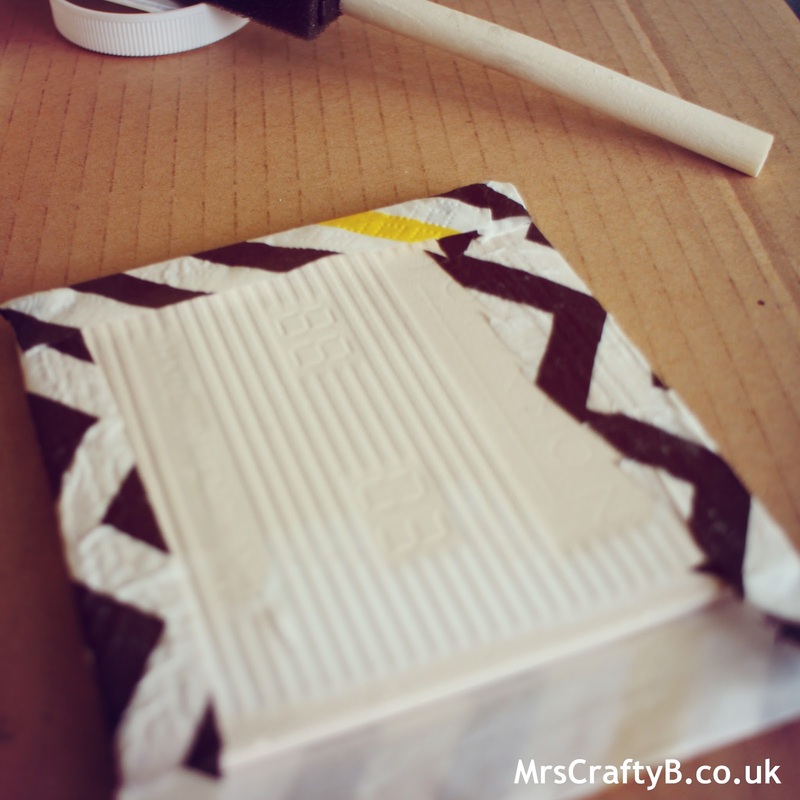 This is such a great way to improve a plain tile or jar. Plus 17p for the napkins? What a bargain! 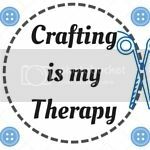 It really is a therapeutic craft but it is addictive! I highly recommend it. You can't go wrong with a couple of brightened up jars for storage! They certainly make a difference for me. I bought a large pack of various sizes in The Works for £2!